Why so Many Temporal Logics Climb up the Trees? Many temporal logics were suggested as branching time specification formalisms during the last 20 years. These logics were compared against each other for their expressive power, model checking complexity and succinctness. Yet, unlike the case for linear time logics, no canonical temporal logic of branching time was agreed upon. We offer an explanation for the multiplicity of temporal logics over branching time and provide an objective quantified ‘yardstick’ to measure these logics. We define an infinite hierarchy BTL k of temporal logics and prove its strictness. We show that CTL* has no finite base, and that almost all of its many sub-logics suggested in the literature are inside the second level of our hierarchy. 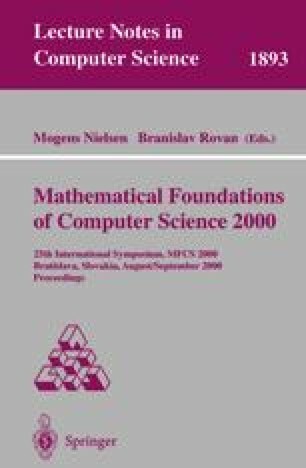 We show that for every logic based on a finite set of modalities, the complexity of model checking is linear both in the size of structure and the size of formula.